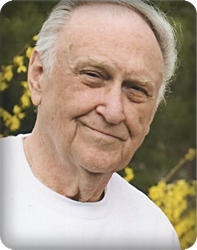 Arthur L. "Art" Jacobs, 86, of Byron Center, went to be with his Lord and Savior on Sunday, November 25, 2018. During college he served in the United States Forest Service as a Smokejumper. Later in life he excelled as an award winning watercolor artist. Art will be lovingly remembered by his wife of 62 years, Nadine; sons, Randy (Crystal), Stan; grandchildren, Daniel, Joshua (Tyler), Jeremiah, Jessica; and great grandson, Xavier. He was preceded in death by James, his youngest son. A private ceremony will be held at Blain Cemetery.